Also serving communities of Madison, Whippany, Livingston, New Providence, Mountainside. There are 20 Memory Care Facilities in the Florham Park area, with 2 in Florham Park and 18 nearby. The average cost of memory care in Florham Park is $5,940 per month. This is higher than the national median of $4,650. Cheaper nearby regions include Morris Plains with an average starting cost of $4,971. To help you with your search, browse the 29 reviews below for memory care facilities in Florham Park. Better rated regions include Avon with an average rating of 4.0 out of 5 stars. Caring.com has helped thousands of families find high-quality senior care. To speak with one of our Family Advisors about memory care options and costs in Florham Park, call (855) 863-8283. Florham Park, New Jersey, is an upscale suburban community with 11,765 residents, including more than 2,300 senior citizens. Like other parts of Morris County, Florham Park has a large population of older adults, which is linked to a higher rate of Alzheimer's disease. More than 12 percent of Medicare beneficiaries in the county have some form of dementia. 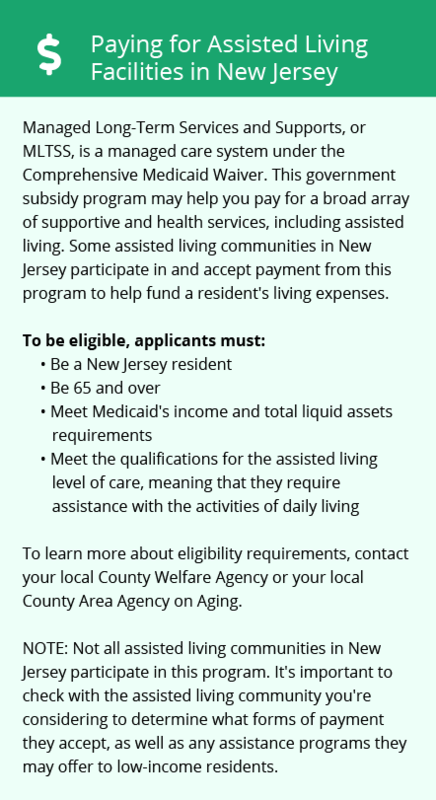 To meet the complex daily needs of this population, the New Jersey Department of Health and Senior Services allows comprehensive personal care homes and assisted living residences to operate Alzheimer's and dementia programs. Each facility must have trained staff, approved accommodations and appropriate activities. Family members can choose from two memory care facilities in Florham Park and more than a dozen others in neighboring communities. As part of the New York City metropolitan area, Florham Park has moderate air pollution. The American Lung Association gave Morris County a passing score for its annual particulate pollution and a D grade based on its ozone levels. These conditions may cause difficulties for sensitive individuals who have asthma or respiratory illnesses. Florham Park is a remarkably safe community. With one being the safest and 100 being the most dangerous, Florham Park has a crime index of 16.4, which is approximately 50 percent lower than the national average. Additionally, memory care facilities have security systems to protect residents from potential hazards. Although Florham Park has a high cost of living, it's partially offset by the state's retirement-friendly tax policy. Social Security, military and railroad retirement benefits are not taxed. Furthermore, the state offers generous exemptions on tax-deferred income from 401(k)s and similar accounts. These policies can help seniors better afford memory care and essential services. Florham Park is home to world-class medical facilities, including those specializing in brain health and dementia care, such as the Morristown Medical Center, St. Barnabas Medical Center and Pathways Care Solutions, in the event of a medical emergency or illness. Memory Care costs in Florham Park start around $5,940 per month on average, while the nationwide average cost of memory care is $4,800 per month. It’s important to note that memory care rates in Florham Park and the surrounding suburbs can vary widely based on factors such as location, the level of care needed, apartment size and the types of amenities offered at each community. To see a list of free memory care resources in Florham Park, please visit our Assisted Living in New Jersey page. 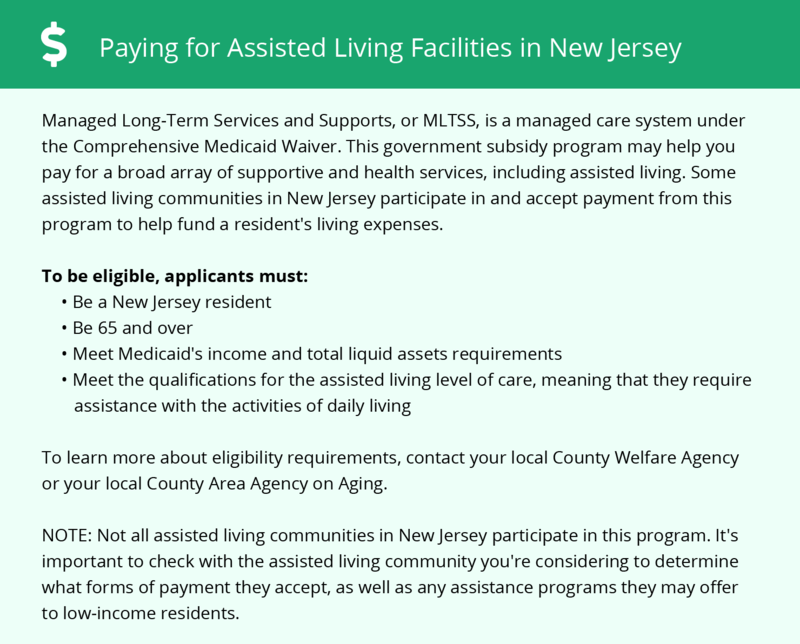 Florham Park-area assisted living communities must adhere to the comprehensive set of state laws and regulations that all assisted living communities in New Jersey are required to follow. Visit our Memory Care in New Jersey page for more information about these laws.